Shenandoah University continues to climb in its second year as a top tier national university in the 2019 U.S. News & World Report Best Colleges Rankings. U.S. News ranks the top 311 national universities, which are defined as offering a full range of undergraduate majors along with master’s and doctoral programs, while emphasizing faculty research. This is Shenandoah’s second year in this category and reflects the growth of the university. Shenandoah was formerly listed in the regional south rankings of universities. This year, Shenandoah climbed eight spots, from 223 to 215, where it is tied with five other schools: Bowling Green State University (OH), North Dakota State University, Old Dominion University (VA), University of Alaska–Fairbanks and University of Massachusetts–Dartmouth. Over the past year, it has improved in the majority of the criteria that determine a school’s ranking, including its graduation and retention rank (from No. 212 in 2018 to No. 208 in 2019), its average first-year student retention rate (from 78 percent to 79 percent), and its selectivity in accepting applicants (from No. 266 to No. 242). “While we don’t chase rankings, we see this as part of the growing recognition of Shenandoah as a place that combines vision, talent and learning to provide an outstanding educational experience,” said Provost Adrienne Bloss, Ph.D.
Shenandoah’s improved ranking also reflects the survey’s emphasis on low student-to-teacher ratios (SU’s is 10:1) and small class sizes (63 percent of classes at Shenandoah have fewer than 20 students and only 1 percent of classes have 50 or more students). 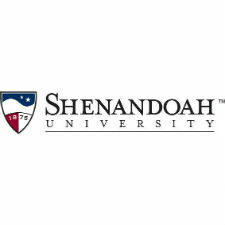 Shenandoah is one of only eight Virginia institutions – and one of only two privates in Virginia – ranked in the first tier of the “National Universities” category. The university’s graduate Nurse Midwifery program is also ranked No. 24 in the country and the graduate Physician Assistant Studies program is ranked No. 16.